Sun, 19 Aug, 2018 at 2pm. Since leaving New Zealand to study at Yale, Thomas Gaynor has achieved remarkable success. In July 2017 he was awarded the First Prize in Organ Interpretation and the Audience Prize at the St Albans International Organ Competition—the 25th organist to receive this distinction since the competition and festival was founded in 1963. Not only is this international festival and competition one of the longest-running of its kind in the world, its roll-call of past winners includes many of the most influential pipe organists of our day. In September 2017 he was award second prize in the Tokyo Organ Competition. 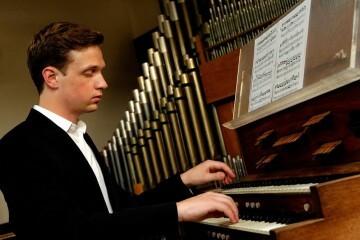 In addition to claiming first prizes in the Third International Bach-Liszt Organ Competition in Erfurt/Weimar, Germany, the Sydney International Organ Competition, and the Fort Wayne National Organ Playing Competition, as well as being second prize winner in the Miami International Organ Competition, Thomas Gaynor is rapidly making his mark on the organ scene in both the northern and southern Hemispheres. A student of David Higgs at the Eastman School of Music in Rochester, NY, Thomas recently graduated with a master’s degree and the Performer’s Certificate. He is currently pursuing a doctoral degree, as well as the coveted Artist’s Certificate. 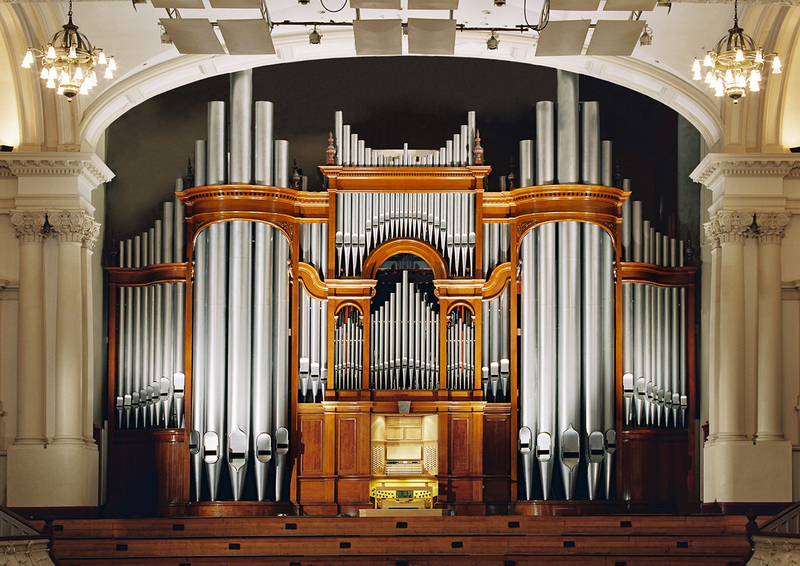 Born in Wellington, Thomas was the Richard Prothero Organ Scholar at Wellington Cathedral of St Paul for several years before being granted the title of Honorary Sub-Organist. His teachers included Douglas Mews for organ and harpsichord repertoire, Michael Fulcher for organ and church music, and Judith Clark for piano. He later held the Maxwell Fernie Scholarship at St Mary of the Angels Church in Wellington. Presently, he is Assistant Director of Music at Christ Episcopal Church in Pittsford, NY, where he works closely with concert organist David Baskeyfield. An aspiring concert organist, Thomas has studied in masterclasses and workshops with many of this generation’s most influential organists, including Edoardo Bellotti, Michel Bouvard, Cameron Carpenter, James David Christie, Ken Cowan, Olivier Latry, Nathan Laube, Jean-Baptiste Robin, Jaques Van Oortmerssen, Stephen Tharp, Thomas Trotter, and Harald Vogel. He can be heard frequently in solo and collaborative recitals across the USA, as well as in Australasia. Recent and upcoming projects include a complete performance of Bach’s Clavierübung III, Mahler’s Rückert Lieder, Vaughan Williams’ Five Mystical songs with baritone Jarrett Logan Porter, and a concert featuring Liszt’s Ad Nos paired with a transcription of the first act of Meyerbeer’s Le Prophète, complete with soloists and chorus. Thomas recently released his first CD, recorded at Wellington Cathedral of St Paul, New Zealand. Jamal Rossi, dean of the Eastman School of Music, picked this CD as one of five recent recordings that best represent the current Eastman School sound in an interview in the Rochester Review, the University of Rochester’s alumni magazine. Thomas is a grateful recipient of an Arts Excellence Award from the Dame Malvina Major Foundation, a Freemasons University Scholarship the Kiwi Music Scholarship, and the Maxwell Fernie Trust Scholarship. Most recently he was awarded the New Zealand/Aotearoa Scholarship from Creative NZ, Arts Council of New Zealand. In 2017, Thomas was awarded first prize by the judges in the famous St Alban’s International Organ Festival and also first prize for the audience choice of most outstanding organist.